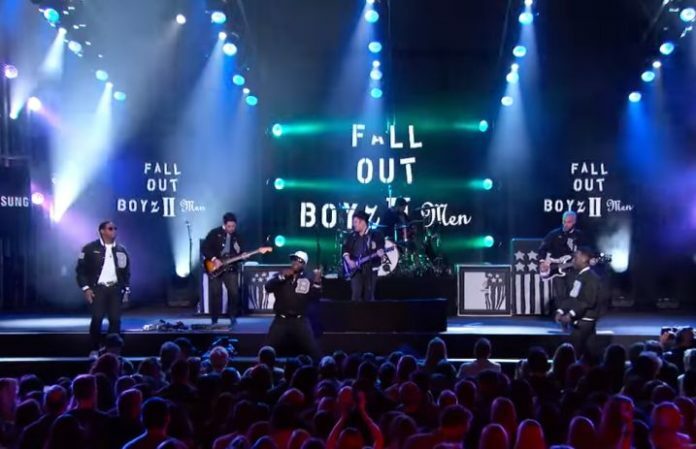 Last night, November 30, Fall Out Boy joined forces with famed R&B group Boyz II Men for a performance of the latter's 1991 debut single, “Motownphilly,” on Jimmy Kimmel Live! You can view the full performance below. Let us know what you think of Fall Out Boyz II Men's mashup sound.